Last January, I wrote a post about a new and rapidly-growing scam: Philippines-based publishing and "marketing" companies that have copied the Author Solutions business model, and are using it to rip off writers. In many cases, these enterprises are run and/or staffed by former AS call center employees. Like AS, the clones rely on misleading hype, hard-sell sales tactics, and a lucrative catalog of junk marketing services. Even if authors actually receive the services they've paid for (and judging by the complaints I've gotten, there's no guarantee of that), they are getting stiffed. These are not businesses operating in good faith, but greedy opportunists seeking to profit from writers' inexperience, ignorance, and hunger for recognition. They are exploitative, dishonest, and predatory. The clones share a distinctive cluster of characteristics that makes them relatively easy for an alert writer to identify. 1. Solicitation. Like the Author Solutions imprints, the clones are big on out-of-the-blue phone calls and emails hawking their services. Often they'll claim your book has been recommended to them, or was discovered by one of their book scouts. Sometimes they'll claim to be literary agents looking to transition you to a traditional publishing contract. Their phone solicitors frequently have foreign accents (most are based in the Philippines). Email solicitors use a recurring set of job titles: book scout, literary agent, Senior Marketing & Publishing Consultant (or Senior Publishing & Marketing Consultant), Executive Marketing Consultant, Marketing Professional, Marketing Supervisor. 2. Offers to re-publish authors' books. 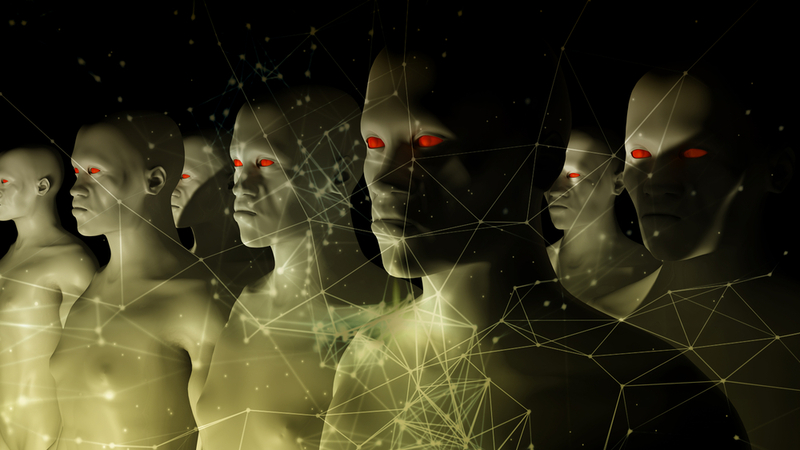 A big focus for the clones is poaching authors who are already published or self-published (often with Author Solutions imprints--it's pretty clear that clone staff either maintain contacts with Author Solutions workers who feed them information, or, if they themselves formerly worked for AS, took customer information with them when they departed). They claim they can do a better job, or provide greater credibility, or boost sales, or get authors in front of traditional publishers. Not all the clones offer publishing services, but most do. 3. Elaborate claims of skills and experience that can't be verified or don't check out. A clone may say it's been in business since 2006 or 2008, even though its domain name was registered only last year. It may claim to be staffed by publishing and marketing experts with years or even decades of "combined experience", but provide no names or bios to enable you to verify this. A hallmark of the clones' "About Us" pages is a serious lack of "about." 4. Poor or tortured English. The clones have US addresses, and purport to be US-based companies. Many have US business registrations. Yet their emails and websites frequently contain numerous (and sometimes laughable) grammar and syntax errors (see below for examples). Their phone solicitors appear to be calling from US numbers, but commonly have foreign accents, and may get authors' names or book titles wrong. 5. Junk marketing. Not all the clones offer publishing services, but they all offer "marketing": press releases. Paid book review packages. Book fair exhibits. Ingram catalog listings. Hollywood book-to-screen packages. These and more are junk marketing--PR services of dubious value and effectiveness that are cheap to provide but can be sold at a huge markup. It's an insanely lucrative aspect of the author-fleecing biz, not just because of its enormous profitability, but because while you can only sell a publishing package once, you can sell marketing multiple times. The clones' marketing services are right out of the Author Solutions playbook: AS basically invented junk book marketing, and most of the marketing services offered by the clones were pioneered by AS. In my January 2018 post, I named and shamed the twelve clones I'd discovered up to that point. In this followup post, I name and shame the 21 additional clones I've identified since then. See below for detail on each (sorry, you have to scroll down; Blogger doesn't give me the option of inserting anchors). Also see the sidebar of this blog for the full list. To give you a sense of how fast these scams are proliferating: of the 21 companies above, 13 are less than twelve months old. The rest are less than two years old. Though they (mostly) appear separate from one another, I suspect that many are in fact run by the same people; there are a number of similarities that, while not conclusive, are extremely suggestive. For instance, there's considerable data to suggest that Outstrip LLC and Ascribed LLC are in fact the same operation. And both Outstrip and Ascribed share language, services, or both with Sherlock Press and Stonewall Press. There also appears to be a relationship between the clones and a pay-to-play book review service that operates under two names: Hollywood Book Reviews and Pacific Book Review. A large number of clones include reviews from this service in their marketing packages (as, in fact, does Author Solutions). Some apparently do such volume business that they have their own payment pages. There are no publishing services at Ascribed LLC (though it's early days: Ascribed only registered its domain in August 2018)--just a full suite of junk marketing services right out of the Author Solutions playbook. English-language lapses are evident throughout the website ("We are a group of people whose passion for books influenced us to be staunch of literature and literacy"). Ascribed also appears to be unequal to the challenge of correctly matching author names and book titles with cover photos. Both Ascribed and Outstrip are registered as LLCs in the state of Delaware. Ascribed's Terms of Service are identical to Outstrip's. The two companies' online book marketing packages are strikingly similar, with similar dopey names, sky-high prices, and features, including monthly "author quote postings", whatever those are. A number of other clones use more than one name (with no hint or acknowledgment of the connection): LitFire Publishing d.b.a. Amelia Book Company and Amelia Publishing; Westwood Books Publishing d.b.a. Authors Press; Book Art Press d.b.a. Window Press Club; Okir Publishing d.b.a. ADbook Press and Coffee Press. I've gotten a number of reports of solicitation by AuthorCentrix, and more can be found online. AuthorCentrix has also started to accumulate complaints--as, previously, did BookBlastPRO (shedding some light on the name change, and possibly hinting at another in the future). AuthorCentrix's menu of Author Solutions-style publishing and marketing services conveniently omits pricing, but per documentation sent to me by a solicited author, the "exclusive" book fair marketing package--a complete and total waste of money--costs $1,899. There's even a brand new AuthorCentrix Magazine, full of ads and features for which authors no doubt had to pay a fortune (AuthorCentrix isn't the only clone that promotes these undistributed pay-to-play magazines: Outstrip and Stonewall Press have GoldCrest Magazine--see below--and Legaia Books, which I discussed in a previous post, has Paperclips Magazine). AuthorLair was born in February 2018. Its English is shaky but better than some other clones'; on a quick read, it might pass muster. Staffed by the usual anonymous "team of industry experts," AuthorLair currently offers only marketing services (including ever-popular book fair exhibition packages), but it's early days. Among the array of logos on AuthorLair's website footer is one for Pacific Book Review, a pay-to-play review service that, along with its "parent" company Hollywood Book Reviews, is often used by the clones. AuthorLair claims a Florida location, but has no Florida business registration. Black Lacquer Press & Marketing incorporated in mid-2017 (via Anderson Registered Agents, a company frequently used by the clones), but its domain wasn't registered until just last February. You can sample its truly awful--and probably horrifyingly expensive--book trailer videos (if you dare) here. Book Agency Plus ("Empowering Authors is our source of Empowerment") doesn't provide publishing services--just "marketing platforms." It has a rudimentary and mostly nonfunctional website, but its social media is active and I got a report of solicitation in mid-September (an offer of a "podcast interview" for $600)--so unlike some of the clones, which pop into existence and vanish in a matter of months, it does seem to be operating, at least for now (its domain was registered in September 2017). On display is the typical nonsensical English ("We go by our ultimate vision to give authors the so-called, 'collaboration'"), as well as the usual windy and unverifiable claims of expertise. Most of the website links for the "featured authors" don't work, and for those that do, all are published either by one of the other clones or an Author Solutions imprint. Book Agency Plus (along with fellow clone Okir Publishing) caught the eye of ALLi watchdog John Doppler earlier this year. BookMagnets Publishing and Marketing (not to be confused with Readers Magnet, a different clone that I discussed in a previous post) claims that it was "founded by two [conveniently un-named] literary publicists in 2010"--which is a neat trick, since its domain was only created in July 2018. It has a business registration in Wyoming, where it claims to be located. BookMagnets provided the same author with a link to one of its marketing campaigns. Apart from the fact that there's no way the campaign is worth nearly $1,400, the book being promoted was published by PublishAmerica, which went out of business last fall without bothering to return rights. PublishAmerica books are still for sale on Kindle--but if anyone buys them, the author will never get any of the royalties due, because there's nowhere to send the sales income. The author who paid for this campaign got zero return from from his large financial investment, even in the unlikely event that the campaign produced results. Like many of the clones, Books Reads Publishing was established just in the past year: its domain was registered in June 2018. In addition to a full complement of clone characteristics, it is also the promulgator of a particularly deceptive marketing pitch that involves posing as Penguin Random House. I've gotten several complaints about unauthorized credit card charges by some of the clones, so the assurance about "no Automatic Charges" rings a bit hollow. Like all the clones, Book Reads Publishing has Philippine connections--for instance, its web designer. Like Book Reads Publishing, Book Vine Press registered its domain in June 2018. Supposedly based in Chicago, and registered as a domestic corporation in Illinois, it checks all the familiar boxes: re-publishing offers, unverifiable experience claims, junk marketing (note the presence of the clones' favorite pay-to-play review services, Pacific Book Review and Hollywood Book Reviews). Note the claim of "our own physical bookstore in Chicago." There's no evidence any such store exists. Two testimonials on Book Vine's website extol the wonderfulness of the authors' publishing experiences. However, both authors are published not by Book Vine, but by fellow clone Greenberry Publishing, which last year changed its name to Westwood Books Publishing and also does business as Authors Press. Also, Book Vine's book fair promotion offers are identical to those from Authors Press. I think there's a pretty strong possibility that Book Vine is running under the same roof. Like many clones, Bookwhip is of recent origin: its domain was registered in November 2017--though you'd never know that (or anything else) based on its detail-free About Us page. Here's the solicitation pitch BookWhip sends in email, shared with me by an author who received it (re-publishing! Plus a book agent! For just $1,250 per book!). BookWhip's basic publishing package is low-priced for a clone, but that's only because its real aim is to ensnare authors so they can be persuaded to buy costly marketing services, including book fair promos and "indie movie production" (it's no accident that these services are non-refundable). Despite its youth, BookWhip has already gathered some complaints, including about an unauthorized credit card charge (not the only complaint of this type I've seen regarding the clones). There actually is a Creative Books store at the Buchanan Road address, and a 30-day display there is part of some of the book fair "marketing" packages offered by Authors Press. As you can see from these photos, it's mostly a school and parties supply store in a strip mall, but there is a rack of books. Is BookWhip run by the same people who are running Westwood Books Publishing and Authors Press? Wouldn't surprise me. Regardless, it's the same kind of scam. Some of the clones have their faulty English under decent control, and exhibit only occasional lapses. Not so Capstone Media Services. Its self-description sounds like it was written by Gollum: "We are an Illustrations and Marketing Service Provider that designs custom illustrations and logos that transform your imaginations into life. We also specializes in helping exceptional authors publish their literary creations." About the (whoppingly expensive) Book Translations service, Capstone has this to say: "Your book will be translated in different languages...This will make your book as one of the 'purple cow' as we call it. Stands out among others." Well, who wouldn't want that? Then there's the Audiobook service: "Here in Capstone Media, we offer you one price for the three voice talents – Australian, British and American Voice Talents. This refers to accents." Thanks for clarifying that. Capstone, which registered its domain in August 2018, claims a prestigious address: 14 Wall Street, Manhattan. It has no business registration in New York State, however, and per this exhibitor list from the 2018 Frankfurt Book Fair, it is actually located in...surprise! the Philippines. Global Summit House boasts a typical array of clone identifiers, including plenty of fractured English, and unpriced and largely undescribed publishing and marketing services (for a glimpse at the kind of quality authors can expect, check out its absurdly awful book trailer videos). Global Summit House maintains two other websites, GlobalSummitHouse.org and The Maze Readers, along with a Goodreads account and a Twitter account, Dusk Till Dawn Reading. All feature the same books, and post the same reviews under different names (here's a review by "Elaine Robyn" on The Maze Readers; here's the identical review from "Anna Reid" on Goodreads). This is a classic closed-loop promotional scam, where all the "promotion" happens on websites and accounts owned by the promoter. Goldman Agency is one of the older clones: its domain was registered in February 2017. It claims a New York city location, but does not appear to have a New York State business registration. Really, though, it's just a regular old marketing scam, staffed by the usual anonymous "dedicated professionals" and displaying the usual imperfect command of English (actually considerably cleaned up from earlier versions of the website). Its "blog posts" are PLR (Private Label Rights) articles (for instance, here's Goldman's post on book publicity, and here it is in the PLR database; even the typo in the title has been reproduced). Of its "portfolio" of books, not one appears to actually exist. This complaint provides a good snapshot of Goldman's M.O.--and its prices. Note: The Goldman Agency I'm talking about here is not to be confused with The David Goldman Agency, which represents illustrators. The supposedly Canadian Maple Leaf Publishing is the only clone I've found that doesn't claim a US location. It's also one of the babies of the bunch, with a domain registered in September 2018. "Come and spark with us!" invites MatchStick Literary's bizarre (and illiterate) Facebook intro page. For authors who accept this dubious invitation, an array of clone-standard, Author Solutions-style publishing and marketing services await (you can judge the quality of MatchStick's video trailers, if you dare, here). As with many of the clones, there are no prices (it's easier to hook your victims if you can get them on the phone). Other telltale signs of clonage include no verifiable information about history or staff, and seriously fractured English ("Setting up an absolute campaign that bank majorly on a specific factor might deem crucial."). Here's what MatchStick claims as its "Track Records" (also note the false claim of 3 years in business). Most of the books exist, but just about everything else is a lie (and I checked every single claim). Like so many clones, Matchstick is of recent origin: its domain was registered in September 2018. It uses a New Jersey address, but as of this writing, has no business registration in that state. Job location? Mandaue City, Philippines. Outstrip LLC is just under a year old, with a domain name registered in January 2018. It offers offers a full menu of Author Solutions-style publishing and marketing services, complete with more-than-usually stupid names (my fave is the "Sempiternal", aptly titled for the sempiternal hole it will put in your bank account). And holy crap, are they expensive. The Eclipse marketing package, which consists basically of garbage, will set you back over $17,000. Bad English is on prominent display on Outstrip's website--check out, for instance, this illiterate blog post--and in its Twitter feed. On Medium, a profile called Felicia Stone is the purported author of a series of equally badly-written articles, in which all the links point to Outstrip. Both Outstrip and Ascribed are registered as LLCs in the state of Delaware. Outstrip's Terms of Service are identical to Ascribed's. Outstrip also appears to be connected to at least two other clones: Sherlock Press and Stonewall Press (see below). Entire paragraphs of Outstrip's Terms of Service, as well as its refunds policy, are reproduced in Sherlock Press's Terms of Service and refunds policy. 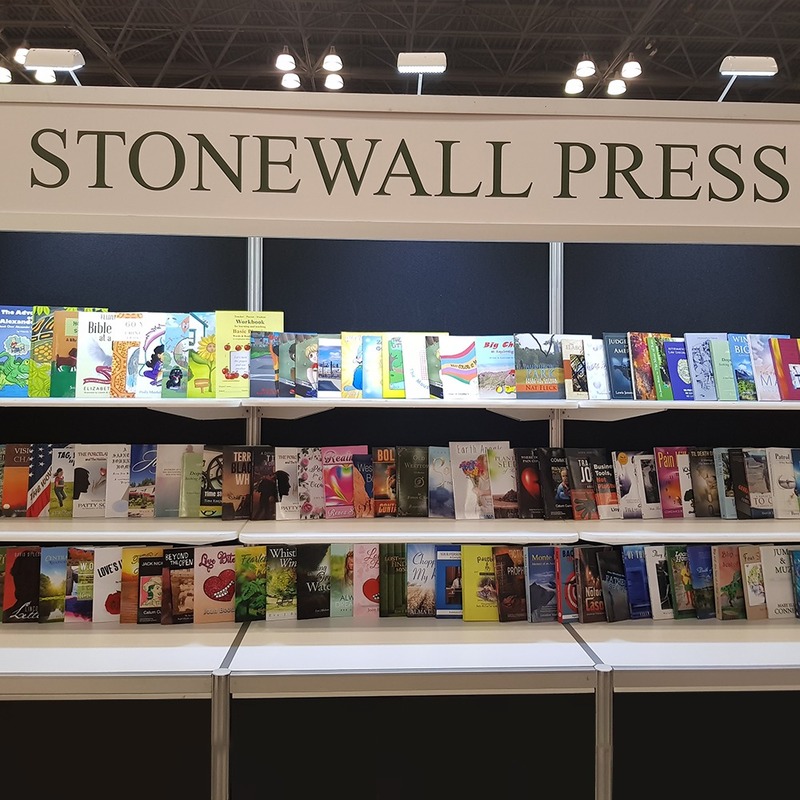 And both Outstrip and Stonewall Press sell ad space in Goldcrest Magazine, which has no independent existence apart from these two companies. Price tag for this PUBLISHING GRANT? Just $10,000. In addition to publishing packages, PageTurner's array of "Powerhouse Services" (a.k.a junk marketing) reads like it was ripped from the website of an Author Solutions imprint (which of course is no accident). Its About Us page exhibits the usual windy and unverifiable claims of experience ("PageTurner, Press and Media is a rebranding of an institution that used to operate in the shadows of other publishing firms as a trusted provider of vendible [sic] titles"), including a claim to have "officially opened its doors" in the summer of 2016, a whole year before it registered its web domain. There's even a bogus award. Book-to-screen is also a scammer's dream, because such packages--one of Author Solutions' signature junk marketing offerings--can be provided cheaply and sold at an enormous markup. In Paramount's case, though, its book to screen pitch seems mostly designed to get authors to spring for really bad book trailers. Paramount doesn't appear to offer publishing packages, just marketing services. As usual, there is zero verifiable information about the company or its staff. Two complaints on Ripoff Report, one alleging unauthorized credit card charges, the other claiming an unfulfilled sales guarantee, suggest how the company operates. Paramount doesn't provide a street address, but it is registered in California as an LLC. Its domain was registered in August 2017. Like so many of its brethren, Sherlock Press is of recent origin: its domain was registered in June 2018. It claims a Baltimore, Maryland location, and is registered in Maryland as an LLC. Sherlock Press offers the familiar array of clone characteristics: unverifiable claims about itself, English-language lapses ("Sherlock Press is made of people"), and Author Solutions-style publishing and marketing packages (including the ever-popular Book to Screen). Stonewall Press originally called itself Uirtus Solutions (Uirtus's website is dead, but here's its corpse, courtesy of the Wayback Machine). The connection is confirmed by this complaint at the Better Business Bureau, and also by identical origin stories (Uirtus supposedly "started out in 2007 as a Movie & Gaming Animation Company", while Stonewall was "established in 2007" with a "specialty...in animated media – movie, gaming, and marketing animation"). In fact, Uirtus Solutions didn't file articles of organization until September 2017, in South Carolina. It terminated itself on November 13, just two months later--and just a few days after Stonewall Press filed a trade name application in Maryland. Based on the different personal names involved (Richzer Villamor for Uirtus and Ivan Bacayo Verallo for Stonewall), it may be that the business did change hands--but clearly Stonewall is a continuation of Uirtus. 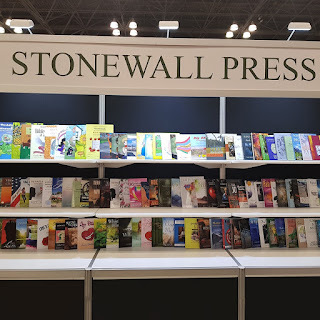 I've received several reports from authors who received email solicitations for re-publishing or marketing by Stonewall Press, and more complaints about solicitation can be found at PissedConsumer, many of them describing out-of-the-blue phone calls by heavily-accented telemarketers. Stonewall's Twitter account was recently suspended. You also get an ad in GoldCrest Magazine, which has no independent existence apart from Stonewall and another clone, Outstrip, which also sells GoldCrest ads as part of some of its packages. URLink Print and Media purports to be located in Wyoming, and it is indeed registered there, with a filing dated March 7, 2018. Its domain was created just a month prior, in February 2018. These two dates would seem to belie the (unverifiable, as usual) self-description on its website, which claims that URLink has been in business for "years". And here's Megan. Guess where she's located? URLink's website offers the typical range of Author Solutions-style publishing and marketing services, couched in the typical fractured English ("Authoring a book could be a facile activity to the most passionate writers"). There's even a gallery section, where you can view the (ahem) high-quality product you can expect to get for your money. URLink's Agreement forms are a testament to its Author Solutions roots, as well as to the way the clones cross-pollinate: they swipe a lot of language from similar documents from WestBow Press, BookWhirl, and fellow clone BookVenture. I've heard from several writers who were solicited by The Writer Central with "representation" offers. Similar reports can be found online. Like several of the other clones, TWC claims that it can help authors transition to traditional publishing by re-publishing and "circulating" their books. The pretense of a co-investment is a classic vanity publisher ploy. For authors looking for some idea of what their re-published book might look like, there are cover images on TWC's home page, along with touching testimonials from the authors. Just one problem: not one of these books--or authors--actually exists (I checked).